Click here to view Jim's Liturgical Wake Service. Click here to view Jim's Mass of Christian Burial. 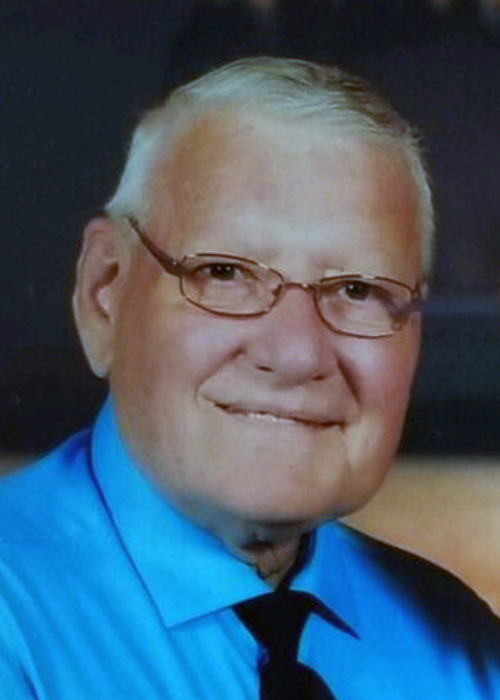 James “Jim” Bauer, 79, of Aberdeen, passed away Saturday, February 9, 2019, at Avera St. Luke’s Hospital in Aberdeen. His wishes were to be cremated. Mass of Christian burial will be 10:30 a.m., Friday, February 15, 2019, at St. Mary’s Catholic Church, 409 2nd Avenue NE, Aberdeen, with Father Michael Griffin as celebrant. Burial will take place at St. Mary’s Cemetery at a later date. Visitation will be 5-7 p.m., Thursday, at the mortuary, with a liturgical wake service beginning at 7:00 p.m. Visitation continues one hour prior to Mass at the church on Friday. Family and friends may sign Jim’s online guestbook and also view his service via the live stream service link at www.schriversmemorial.com. James Bauer was born May 11, 1939, to Mike and Ann (Reinbold) Bauer in Strasburg, ND. This is the area where he was raised and attended grade school. In 1953, Jim and his family moved to Aberdeen, where he attended public school and graduated from Aberdeen Central High School with the Class of 1958. Jim was united in marriage to Beverly Pitz on February 10, 1959, in Aberdeen. The couple made Aberdeen their home, where Jim worked alongside his father as a mechanic for several years. Later, Jim began what would become a 24-year career with Terrace Park Dairy. Following the company’s closing, he became employed with KO Lee and Don Kuntz Construction. He and Bev raised four daughters and shared nearly 60 years of marriage together, with Jim passing away one day before their 60th wedding anniversary. Jim was a life-time member of St. Mary’s Catholic Church. In his spare time, he found enjoyment in building and flying remote control model airplanes and was an active member of the Aberdeen Area Modelaires. Jim also enjoyed spending time outdoors fishing and deer hunting. He especially loved making and sharing his homemade wine, known as “Jim’s Juice”. Blessed to have shared in Jim’s life is his wife, Beverly Bauer of Aberdeen; daughters: Lori (David) Kolb, Janet (Mark) Herman and Cheryl (Tony) Kallas, all of Aberdeen; son-in-law, Hal Machler of Lewistown, MT; nine grandchildren; two step-grandchildren; seven great-grandchildren; five brothers: Frank Bauer of Akaska, SD, Joe Bauer and Walter Bauer, both of Aberdeen, Mike Bauer of Huron, SD, and Donald Bauer of Marion, SD; and one sister, Peggy Betsch of Long Lake, MN. Jim was preceded in death by his parents; daughter, Teri Machler; great-grandson, Landon David Kolb; and three stillborn great-grandchildren.